James (JD) Schuck and Jim Bramlett, of Tracerco, came and gave our monthly internal lunch and learn to our Subsea Engineering team. 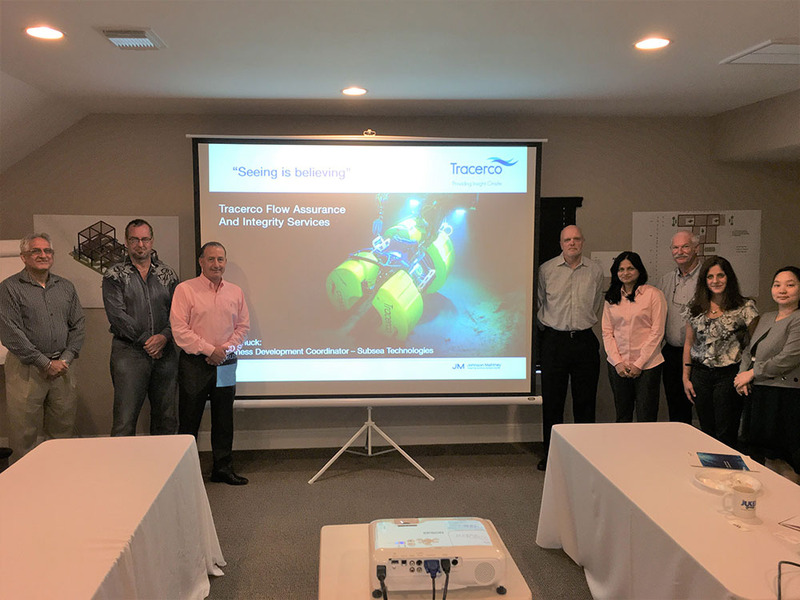 Tracerco presented on their capabilities and field proven subsea technologies: Explorer™ for flow assurance and Discovery™ for flow assurance and subsea pipeline integrity. Their technology allows non-intrusive inspection of subsea pipelines, platforms and buoyancy tanks and other subsea vessels, and helps Operators better understand flow assurance issues and ensure the integrity of their assets. “I find their Technology very impressive for both the detection of hydrates and internal corrosion and it even measures wall thickness defects, like pitting corrosion, on the inner pipe of a ‘Pipe-in-Pipe’ (PIP) system – all in a single scan” said Dr. Paul Jukes – President & CEO of The Jukes Group.